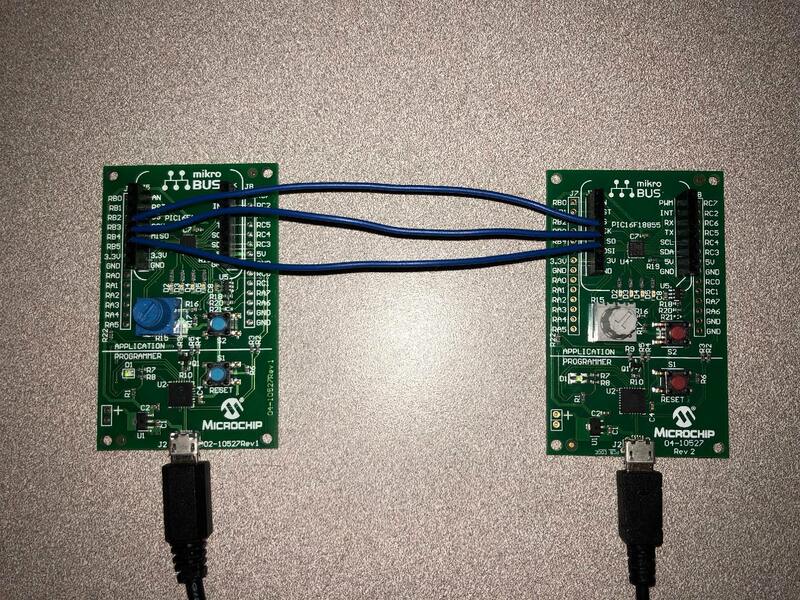 In this example we will configure an express board to receive characters via SPI and turn on/off an LED respectively. b. Modify the MSSP1 Peripheral. 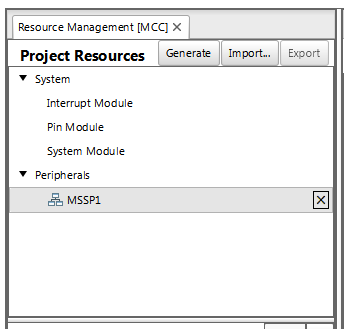 Select MSSP1 from the peripherals list. 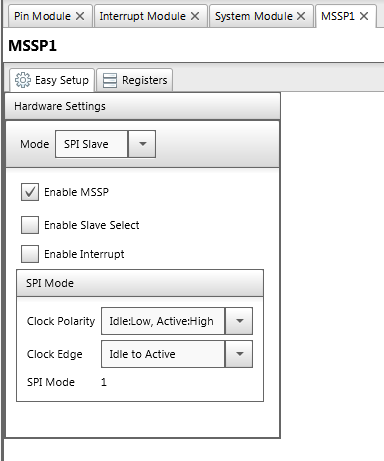 - Change the "Mode" of the peripheral to "SPI Slave"
You may leave "Slave Select" here unchecked as we only have 1 slave on the bus and don't need to select it before using it. The SS pin is not used but must still be configured. Note that a couple lines in the main.c file in the project have been omitted here as they do not contribute core functionality. Make sure you connect the grounds of the devices together to prevent floating logic levels.